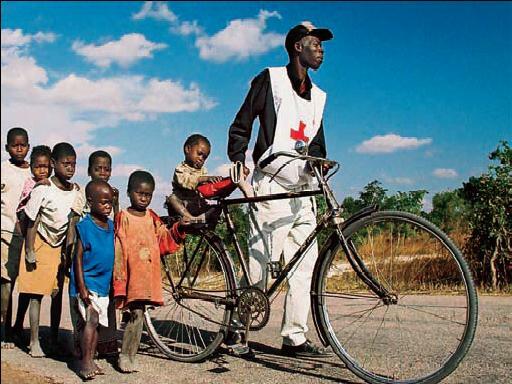 Provide a bicycle for a Red Cross volunteer to reach remote villages. You can provide an international Red Cross volunteer with a bicycle. This will allow them to travel roads that are impassable by cars and trukes to educate remorte families on disaster preparedness and provide other training. Purcahse bicycles for a team for four volunteers for $300, or provide a bicycle for one volunteer for $75. These are available online or via catalog.